Some say the goal of a great public relations program should be to build brand reputation, while sales and marketing actually drive sales. 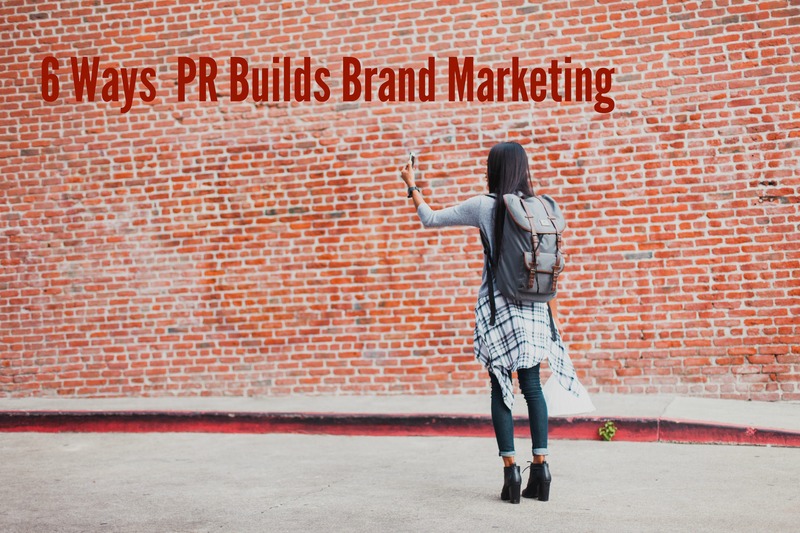 The reality is that the lines between PR and marketing are getting blurrier all the time. The two can and should work together – much like brick and mortar. A strong public relations program lays the groundwork for the marketing that comes later, conditioning prospective buyers for sales messages conveyed through paid media, email marketing, or price promotions. In turn, paid media can amplify the implied third-party endorsement that PR achieves in the form of content like product reviews, influencer posts, and feature articles. There are many ways to use PR initiatives to add depth, color, and cohesion to the building blocks of brand identity. Here are some of the most powerful. Generating credibility for the brand message. This is why earned media – the stories and interviews produced by PR – will always be relevant. Earned coverage offers the kind of credibility that can’t be matched by paid media like ads or “owned” content like company blog posts or creative social videos. PR and marketing will continue to overlap as marketers allot a greater share of the budget to their own branded content, but the third-party endorsement – either implied or explicit – of earned coverage is very effective. It’s even more powerful when generated coverage includes specific details or proof points that reinforce a brand proposition or identity, like a user testimonial or a behind-the-scenes feature on product development. Some products are complicated. Looking to buy enterprise software? How about a new car? Today’s buyers are more educated than ever, with vast informational resources at their fingertips. Look no further than a smartphone to access expert opinion, analyst reports, reviews, or social media discussions about specific brands or products. Likewise, there are companies with multilayered stories that are best told through long-form content, or explained in a narrative form typical of a business or consumer magazine feature. This is where PR excels. A mega-brand like Amazon has many facets, from Jeff Bezos, whose long-term vision and relentless determination helped build it, to the warehouse workers whose stories offer a different side of Amazon’s growth. A successful narrative doesn’t have to be about a Bezos or a Branson, but it does usually need to involve people – customer testimonials, community impact, employee motivation. That is another benefit that PR delivers very well. In fact, employees can be both a rich source of stories and a powerful channel through which to tell them. One of our clients is a company that has landed on a few “Best Places To Work” lists, but it wanted more visibility for a key R&D unit that has been important to product development and innovation. When we were able to place a trade piece about that division (which struggled through disruption due to conflict in another country), it added color and credibility to the client’s reputation as an employer and an innovator. Advertising offers the benefit of repetition – we hear a tagline or brand promise often enough, and we start to believe it – or at least, remember it. “A diamond is forever” evokes the long-running DeBeers product campaign, while “Fly the Friendly Skies” is linked to United Airlines, though today it sounds ironic. But in the digital age, such resonance is hard to achieve, given our fragmented media environment and the battle for customer attention. Most shopping trips today start with Google. So, when Google changed its algorithm to reward mentions in high-authority domains several years ago, it vaulted earned media stories to a higher level, thereby rewarding quality PR outcomes. Digital “resonance” means a brand that will move to the top of the search queue by virtue of its inclusion in content from trusted sources (like top media domains) as well as shareable content on popular social networks. Some of the most successful PR campaigns look to change behavior to promote the public interest, like the wireless industry’s #itcanwait campaign against texting and driving. We represented a credit union through a strong campaign around financial wellness. It sponsors a series of Financial Learning Seminars, underwrites research about the cost of financial stress in the workplace, and raises funds for financial wellness causes. Of course the campaign promotes the brand, but it offers plenty of educational content that conditions the market for the CU’s products and services while actually helping the community in the process. Staking out a position on a topical or important issue and offering insights or ideas can yield far-reaching brand benefits. Today, given our politicized culture, where it seems everyone is taking sides on hot-button issues, a failure to communicate values can actually harm a brand. When Starbucks’ Howard Schultz weighs in on marriage equality, or Sheryl Sandberg urges us to “lean in,” it’s more powerful than a corporate reputation campaign. It’s an example of thought leadership around a key issue relevant to many customers that has nothing to do with coffee or social networking. Yet, I’d argue that it has a strong impact on the brands attached.